Is handwriting actually important? Is handwriting education really needed by society? Katherine J. Collmer, M.Ed., OTR/L posits these questions in “Handwriting: You can take it personal”. Issues of conformity, individuality, self-expression, authority, class, elitism and psychology are all broached while handily tracing the history of writing back to the Sumerians and Egyptians. The very structure of language, from typesets to the size of the alphabet reflects a society’s pattern of communication, Collmer argues, as does ours. Personalized, non conforming handwriting style, should be seen as a positive trait provided it can clearly convey intended thoughts. Rejection Reason: The article doesn’t flow well. The main point is lost among attempts at scholarly annotation. I fought through the writing because I have a very personal interest, but it was too cumbersome to enjoy. Because I didn’t enjoy it, the overall layout seemed focused on sales. As language and society became more complex and penmanship commoditized as a viable skill, handwriting became a hot topic amongst educators. The author coaxes us slowly to an insidious and fateful point; what if our handwriting reflects- on some subtle level- those socioeconomic factors of our fate? 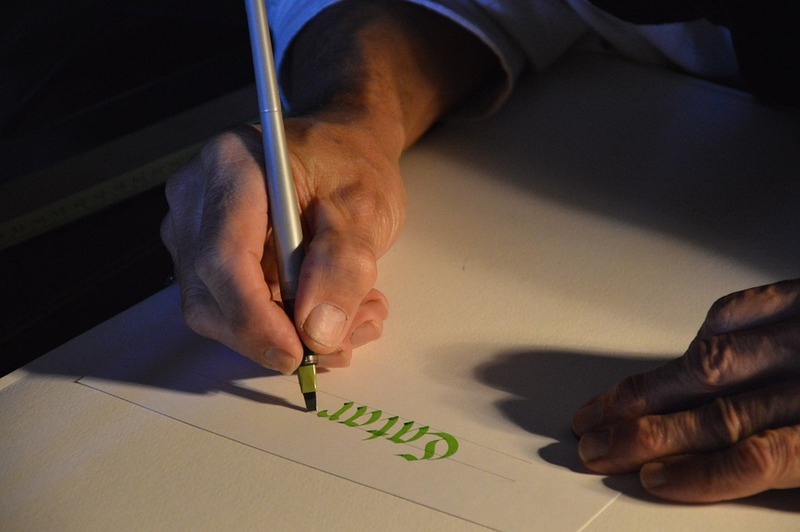 If our penmanship reveals who we are socially- in a world attempting to overcome those old stigmas- perhaps we are after all, better without formalized instruction at all? I have always considered the process of learning and mastering the skill to write letters to lead to the discovery of a comfortable and personalized handwriting style with which to convey thoughts, feelings, and knowledge efficiently. It seems strange somehow that an adult’s use of an individualized, nonconforming form of expression should be considered a weakness when it should be treated as a strength, a culmination of the years of practice and use of a handwriting style. Handwriting is a lost art. Many people can’t even read their own handwriting. Handwriting programs help people improve their handwriting.